Building software from bits and pieces. 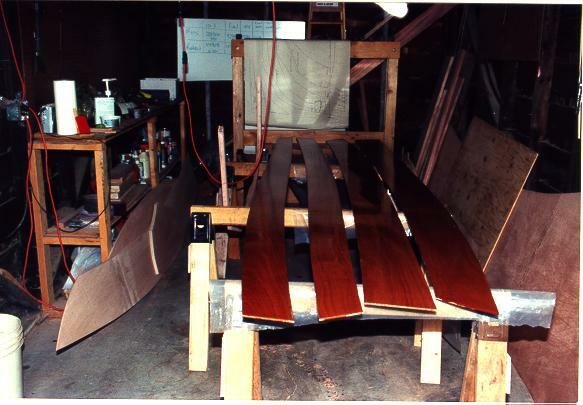 Here are the panels after cutting out and coating with epoxy. 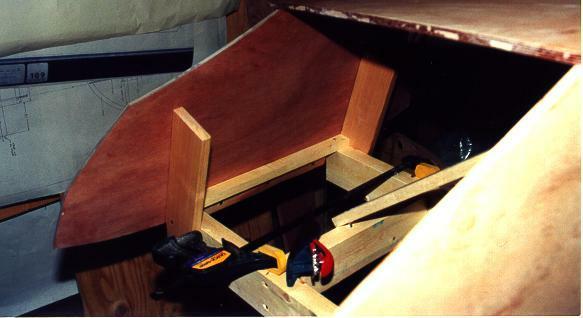 The gluing jig is just behind the panels. 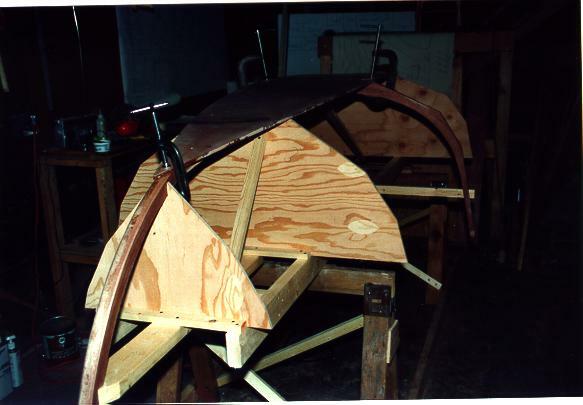 The midshape frame was laminated from thin mahogony strips. 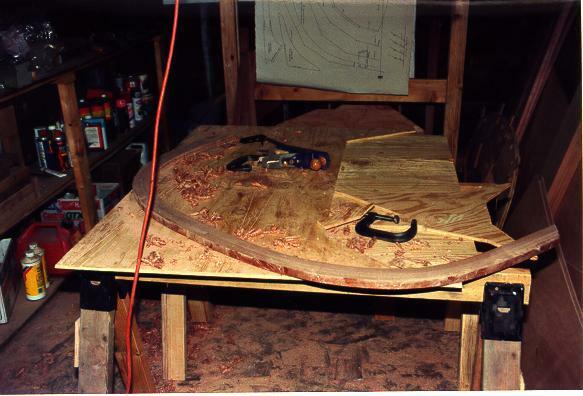 This shows the finished lamination being smoothed with a plane. This is the strongback ready for the mold frames. 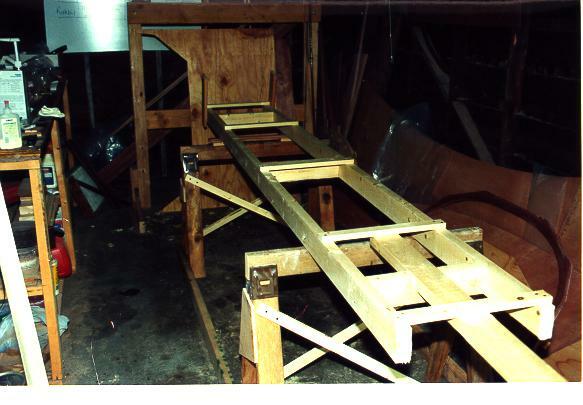 The mold frames have been setup and the bottom is being attached to the mold. 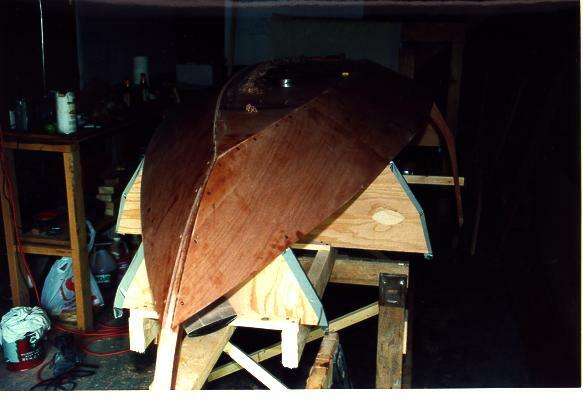 The transom attachment to the mold. 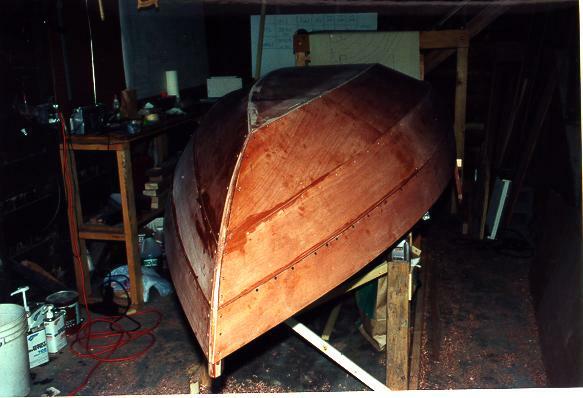 The first two side planks are attached to the mold and are being planed flush with the bottom. 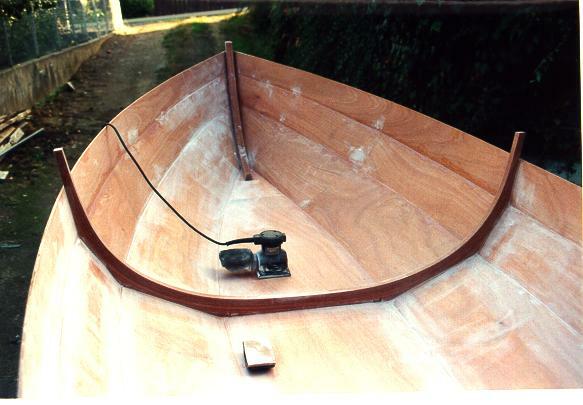 Sanding the inside of the boat. 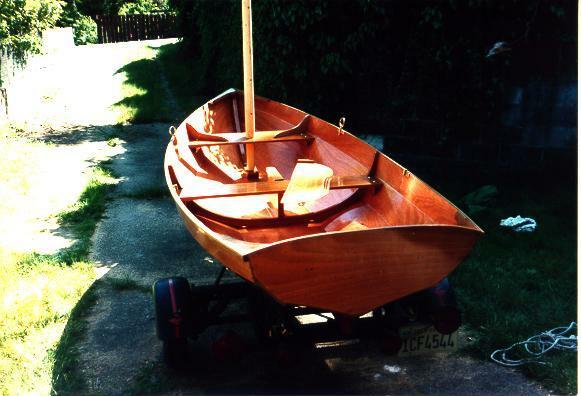 The completed boat with mast in the step.